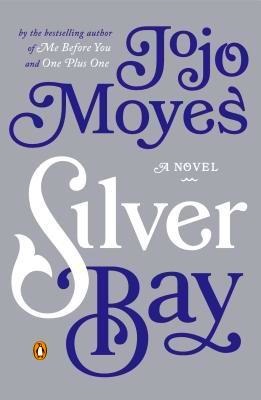 Silver Bay by Jojo Moyes is yet another addition to her long line of successful novels. Previously released in the UK and now available in the U.S., I was quite pleased at the chance to read this one. And read it I did. For as good as it is, it does move a tad bit slowly for the first half of the book. But do not let that deter you, oh no. You do not want to miss this one! Liza McCullen, haunted by her past, moved with her 11-year-old daughter, Hannah, to Silver Bay in Australia five years ago, running from a haunted past. They live at the Silver Bay Inn with Liza’s aunt, Kathleen, who is sort of the matriarch of Silver Bay. The Silver Bay Inn serves as the main gathering place for the crews of the dolphin and whale-watching ships that serve as the Bay’s main tourist attraction. Silver Bay’s quiet life is disrupted by the arrival of Englishman Mike Dormer, a businessman with designs on developing a resort in the Bay. He keeps his plans to himself as he knows his position would make him quite unpopular with the locals. Mike slowly becomes “one of the gang”, and begins to see how his development would negatively impact not only the community, but most importantly the ecosystem and marine life that is so important to those who live there. Meanwhile, a romance is brewing between Mike and Liza, one that becomes stronger as he pledges his devotion to fight his employers’ plans to develop the disastrous resort. Silver Bay is a well-written novel with an absorbing storyline, written from the alternating first-person narrative of the five main characters; this serves extremely well to bring them alive in one’s mind. As mentioned previously, this is not an action-packed thriller – but rather a languid, charming tale about Silver Bay, it’s inhabitants, and the sea animals that they hold so dear. While the first half of the novel sort of meanders along, as the secrets of Liza’s past are gradually unraveled, there are enough twists and turns to keep one reading. Once we reach the second half, things pick up considerably and we are carried forward along a wave of action. Silver Bay really is about relationships – between family, friends, lovers. It’s about secrets and the torment they bring, grief and loss, and ghosts from our past that must be confronted in order to move forward in life. Something I really loved about this novel was it’s focus on the marine life of Silver Bay; learning the behaviors of their beloved whales and dolphins through the characters’ eyes was illuminating. And, y’all, you know there’s a happy ending here (this is a romance, after all), the actual ending is so amazingly joyful that there is no way for you to foresee it. Trust me, y’all – the ending makes it all worth your while. So get on out there and pick this book up today! Silver Bay by Jojo Moyes. Buy it, read it, love it.